Moulsford | Where Angells Tread! The first of several Thames walks and I’m kicking myself. I meant to set off in a broadly clockwise direction but walking out of the Lardon Chase car park I get confused and we end up walking through Common Wood and down the hill to Streatley. I do my best to pass it off as a planned diversion but to tell the truth it annoys me for a large part of the walk…we’ve already walked along this stretch of the Thames and in this direction…I’d wanted to do it in the opposite direction! Sue reckons I’m a bit up-tight sometimes. 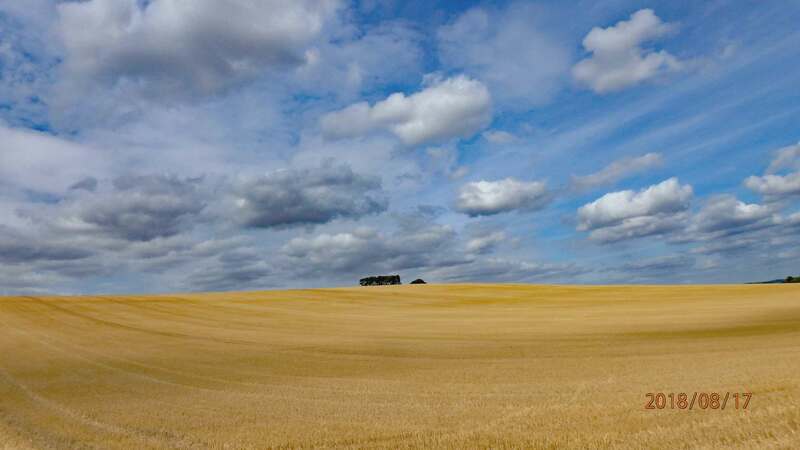 By the time we get up on the Downs above Moulsford the sun is out and the breeze is chasing cotton wool clouds across the sky…it’s great walking weather! 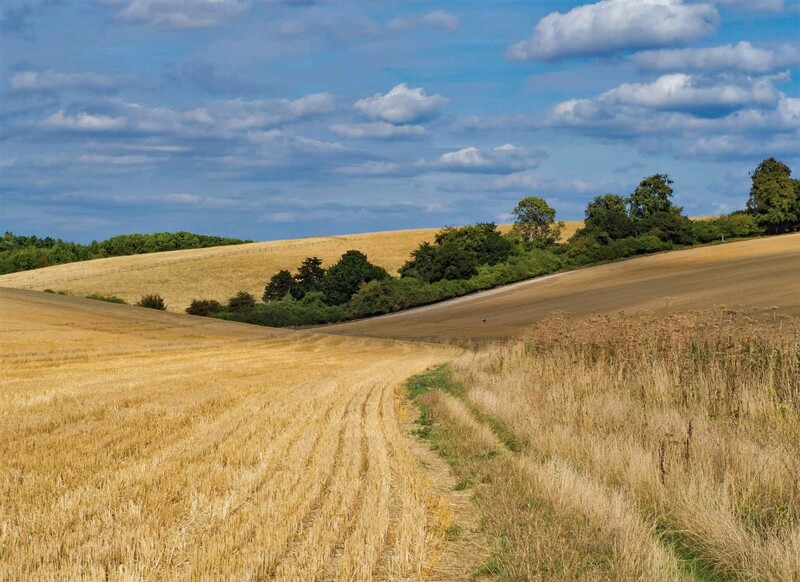 Our route takes us along the Fair Mile as far as Lowbury Hill (and it’s Saxon burial mound and rumoured ancient Roman temple) before looping round towards Aldworth. It’s only few weeks since we were here last and, although a few degrees cooler, the weather is just as good. We follow a local into the village. He’s been dog walking and is now off to the pub for a birthday drink…you could have guessed this from his badge. He asks where we’re going and, on hearing our destination, offers the thought that perhaps we’re heading in the wrong direction. I know that! It’s been gnawing away at me all walk! Anyway, it turns out our planned route is fine and the long, slow descent off the Downs takes us through some beautifully quiet valleys and more spectacular skies. By the time we reach Thurle Grange we’re tucked down amongst the surrounds hills and ready for the end. I think Sue knew it all along, but I break it to her. The car is at the top of one of those hills! The news is unwelcome and the last half mile are probably the slowest of our walk, ostensibly because the views as so good! A really enjoyable walk, very different from walking in the Chilterns and, of course, a contrast to the Forest of Dean. Only one of us has the energy for a short trip to the end of Lardon Chase but it’s worth it…Goring and Streatley are spread out in the valley below and eastwards today, you can see Reading and beyond. A thoroughly enjoyable 13.4 mile walk with a great view at the end…perhaps we chose the right way round after all..although one day, I promise myself, we’ll be back and walk it in the correct direction. Pingback: Ringshall | Where Angells Tread!